For other uses, see The Magic Flute (disambiguation). The arrival of the Queen of the Night. Stage set by Karl Friedrich Schinkel for an 1815 production. The Magic Flute (German: Die Zauberflöte pronounced [ˈdiː ˈt͡saʊ̯bɐˌfløːtə]), K. 620, is an opera in two acts by Wolfgang Amadeus Mozart to a German libretto by Emanuel Schikaneder. The work is in the form of a Singspiel, a popular form that included both singing and spoken dialogue. [a] The work was premiered on 30 September 1791 at Schikaneder's theatre, the Freihaus-Theater auf der Wieden in Vienna, just two months before the composer's premature death. Emanuel Schikaneder, librettist of Die Zauberflöte, shown performing in the role of Papageno. The object on his back is a birdcage; see below. The libretto for The Magic Flute, written by Schikaneder, is thought by scholars to be based on many sources. Some works of literature current in Vienna in Schikaneder's day that may have served as sources include the medieval romance Yvain by Chrétien de Troyes, the novel Life of Sethos by Jean Terrasson, and the essay "On the mysteries of the Egyptians" by Ignaz von Born. 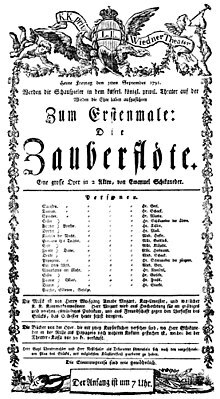 The libretto is also a natural continuation of a series of fairy tale operas produced at the time by Schikaneder's troupe, including an adaptation of Sophie Seyler's Singspiel Oberon as well as Der Stein der Weisen. Especially for the role of Papageno, the libretto draws on the Hanswurst tradition of the Viennese popular theatre. Many scholars also acknowledge an influence of Freemasonry. For detailed discussion of sources see Branscombe 1991, as well as Libretto of The Magic Flute. In composing the opera, Mozart evidently kept in mind the skills of the singers intended for the premiere, which included both virtuoso and ordinary comic actors asked to sing for the occasion. Thus, the vocal lines for Papageno—sung by Schikaneder himself—and Monostatos (Johann Joseph Nouseul) are often stated first in the strings so the singer can find his pitch, and are frequently doubled by instruments. In contrast, Mozart's sister-in-law Josepha Hofer, who premiered the role of the Queen of the Night, evidently needed little such help: this role is famous for its difficulty. In ensembles, Mozart skillfully combined voices of different ability levels. The vocal ranges of two of the original singers for whom Mozart tailored his music have posed challenges for many singers who have since recreated their roles. Both arias of the Queen of the Night, "O zittre nicht, mein lieber Sohn" and "Der Hölle Rache kocht in meinem Herzen" require high F6, rare in opera. At the low end, the part of Sarastro, premiered by Franz Xaver Gerl, includes a conspicuous F2 in a few locations. The opera was premiered in Vienna on 30 September 1791 at the suburban Freihaus-Theater auf der Wieden. Mozart conducted the orchestra,[b] Schikaneder himself played Papageno, while the role of the Queen of the Night was sung by Mozart's sister-in-law Josepha Hofer. Although there were no reviews of the first performances, it was immediately evident that Mozart and Schikaneder had achieved a great success, the opera drawing immense crowds and reaching hundreds of performances during the 1790s. Mozart's delight is reflected in his last three letters, written to Constanze, who with her sister Sophie was spending the second week of October in Baden. "I have this moment returned from the opera, which was as full as ever", he wrote on 7 October, listing the numbers that had to be encored. "But what always gives me the most pleasure is the silent approval! You can see how this opera is becoming more and more esteemed." ... He went to hear his opera almost every night, taking along [friends and] relatives. The opera celebrated its 100th performance in November 1792, though Mozart did not have the pleasure of witnessing this milestone, as he had died 5 December 1791. The opera was first performed outside Vienna (21 September 1792) in Lemberg, then in Prague. It then made "triumphal progress through Germany's opera houses great and small", and with the early 19th century spread to essentially all the countries of Europe—and eventually, everywhere in the world—where opera is cultivated. As Branscombe documents, the earlier performances were often of highly altered, sometimes even mutilated, versions of the opera (see Ludwig Wenzel Lachnith). Productions of the past century have tended to be more faithful to Mozart's music, though faithful rendering of Mozart and Schikaneder's original (quite explicit) stage directions and dramatic vision continues to be rare; with isolated exceptions, modern productions strongly reflect the creative preferences of the stage director. The Magic Flute is presently among the most frequently performed of all operas. On 28 December 1791, three and a half weeks after Mozart's death, his widow Constanze offered to send a manuscript score of The Magic Flute to the electoral court in Bonn. Nikolaus Simrock published this text in the first full-score edition (Bonn, 1814), claiming that it was "in accordance with Mozart's own wishes" (Allgemeine musikalische Zeitung, 13 September 1815). The Magic Flute is noted for its prominent Masonic elements, although some scholars hold that the Masonic influence is exaggerated. Schikaneder and Mozart were Freemasons, as was Ignaz Alberti, engraver and printer of the first libretto. The opera is also influenced by Enlightenment philosophy and can be regarded as advocating enlightened absolutism. The Queen of the Night is seen by some to represent a dangerous form of obscurantism, by others to represent Roman Catholic Empress Maria Theresa, and still others see the Roman Catholic Church itself, which was strongly anti-Masonic. The names of the performers at the premiere are taken from a preserved playbill for this performance (at right), which does not give full names; "Hr." = Herr, Mr.; "Mme." = Madame, Mrs.; "Mlle." = Mademoiselle, Miss. While the female roles in the opera are assigned to different voice types, the playbill for the premiere performance referred to all of the female singers as "sopranos". The casting of the roles relies on the actual vocal range of the part. The work is scored for two flutes (one doubling on piccolo), two oboes, two clarinets (doubling basset horns), two bassoons, two horns, two trumpets, three trombones (alto, tenor, and bass), timpani and strings. It also requires a four-part chorus for several numbers (notably the finales of each act). Mozart also called for a stromento d'acciaio (instrument of steel) to perform Papageno's magic bells; an instrument which has since been lost to history, though modern day scholars believe it to be a keyed glockenspiel, which is usually substituted with a celesta in modern-day performances. Die Zauberflöte has the greatest variety of orchestral color that the eighteenth century was to know; the very lavishness, however, is paradoxically also an economy as each effect is a concentrated one, each one—Papageno's whistle, the Queen of the Night's coloratura, the bells, Sarastro's trombones, even the farewell in Scene I for clarinets and pizzicato strings—a single dramatic stroke." The opera begins with the overture, which Mozart composed last. Tamino, a handsome prince lost in a distant land, is pursued by a serpent and asks the gods to save him (aria: "Zu Hilfe! Zu Hilfe!" segued into trio: "Stirb, Ungeheuer, durch uns're Macht!"). He faints, and three ladies, attendants of the Queen of the Night, appear and kill the serpent. They find the unconscious prince extremely attractive, and each of them tries to convince the other two to leave. After arguing, they reluctantly decide to leave together. Baritone Markus Werba appearing as Papageno. He wears his pipes and carries his magic bells; both instruments are essential to the plot. Tamino wakes up, and is surprised to find himself still alive. 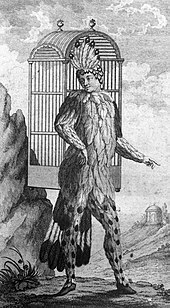 Papageno enters dressed as a bird. He describes his life as a bird-catcher, complaining he has no wife or girlfriend (aria: "Der Vogelfänger bin ich ja"). Tamino introduces himself to Papageno, thinking Papageno killed the serpent. Papageno happily takes the credit – claiming he strangled it with his bare hands. The three ladies suddenly reappear and instead of giving Papageno wine, cake and figs, they give him water, a stone and place a padlock over his mouth as a warning not to lie. They give Tamino a portrait of the Queen of the Night's daughter Pamina, with whom Tamino falls instantly in love (aria: "Dies Bildnis ist bezaubernd schön" / This image is enchantingly beautiful). The ladies return and tell Tamino that Pamina has been captured by Sarastro, whom they describe as a powerful, evil demon. Tamino vows to rescue Pamina. The Queen of the Night appears and promises Tamino that Pamina will be his if he rescues her from Sarastro (Recitative and aria: "O zittre nicht, mein lieber Sohn" / Oh, tremble not, my dear son!). The Queen leaves and the ladies remove the padlock from Papageno's mouth with a warning not to lie any more. They give Tamino a magic flute which has the power to change sorrow into joy. They tell Papageno to go with Tamino, and give him (Papageno) magic bells for protection. The ladies introduce three child-spirits, who will guide Tamino and Papageno to Sarastro's temple. Together Tamino and Papageno set forth (Quintet: "Hm! Hm! Hm! Hm!"). Arrival of Sarastro on a chariot pulled by lions, from a 1793 production in Brno. Pamina appears at left, Papageno at right. In the background are the temples of Wisdom, Reason, and Nature. The three child-spirits lead Tamino to Sarastro's temple, promising that if he remains patient, wise and steadfast, he will succeed in rescuing Pamina (Quartet: "Zum Ziele führt dich diese Bahn"). Tamino approaches the left-hand entrance and is denied access by voices from within. The same happens when he goes to the entrance on the right. But from the entrance in the middle, an old priest appears and lets Tamino in. (The old priest is referred to as "The Speaker" in the libretto, but his role is a singing role.) He tells Tamino that Sarastro is benevolent, not evil, and that he should not trust the Queen of the Night. He promises that Tamino's confusion will be lifted when Tamino approaches the temple in a spirit of friendship. Tamino plays his magic flute. Animals appear and dance, enraptured, to his music. 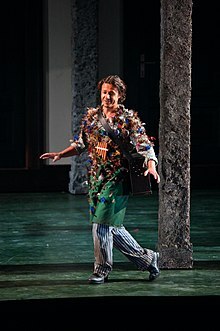 Tamino hears Papageno's pipes sounding offstage, and hurries off to find him (aria: "Wie stark ist nicht dein Zauberton"). The council of priests of Isis and Osiris, headed by Sarastro, enters to the sound of a solemn march. Sarastro tells the priests that Tamino is ready to undergo the ordeals that will lead to enlightenment. He invokes the gods Isis and Osiris, asking them to protect Tamino and Pamina (Aria and chorus: "O Isis und Osiris"). Tamino and Papageno are led in by two priests for the first trial. The two priests advise Tamino and Papageno of the dangers ahead of them, warn them of women's wiles and swear them to silence (Duet: "Bewahret euch von Weibertücken"). The three ladies appear and try to frighten Tamino and Papageno into speaking. (Quintet: "Wie, wie, wie") Papageno cannot resist answering the ladies, but Tamino remains aloof, angrily instructing Papageno not to listen to the ladies' threats and to keep quiet. Seeing that Tamino will not speak to them, the ladies withdraw in confusion. Pamina is asleep. Monostatos approaches and gazes upon her with rapture. (Aria: "Alles fühlt der Liebe Freuden") He is about to kiss the sleeping Pamina, when the Queen of the Night appears. Monostatos hides. In response to the Queen's questioning, Pamina explains that Tamino is joining Sarastro's brotherhood and she is thinking of accompanying him too. The Queen is not pleased. She explains that her husband was the previous owner of the temple and on his deathbed, gave the ownership to Sarastro instead of her, rendering the Queen powerless (this is in the original libretto, but is usually omitted from modern productions, to shorten the scene with Pamina and her mother). She gives Pamina a dagger, ordering her to kill Sarastro with it and threatening to disown her if she does not. (Aria: "Der Hölle Rache kocht in meinem Herzen"). She leaves. Monostatos returns and tries to force Pamina's love by threatening to reveal the Queen's plot, but Sarastro enters and drives him off. Pamina begs Sarastro to forgive her mother and he reassures her that revenge and cruelty have no place in his domain (Aria: "In diesen heil'gen Hallen"). Tamino and Papageno are led in by priests, who remind them that they must remain silent. Papageno complains of thirst. An old woman enters and offers Papageno a cup of water. He drinks and teasingly asks whether she has a boyfriend. She replies that she does and that his name is Papageno. She disappears as Papageno asks for her name, and the three child-spirits bring in food, the magic flute, and the bells, sent from Sarastro (Trio: "Seid uns zum zweiten Mal willkommen"). 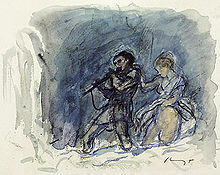 Tamino begins to play the flute, which summons Pamina. She tries to speak with him, but Tamino, bound by his vow of silence, cannot answer her, and Pamina begins to believe that he no longer loves her. (Aria: "Ach, ich fühl's, es ist verschwunden") She leaves in despair. The priests celebrate Tamino's successes so far, and pray that he will succeed and become worthy of their order (Chorus: "O Isis und Osiris"). Pamina is brought in and Sarastro instructs Pamina and Tamino to bid each other farewell before the greater trials ahead, alarming them by describing it as their "final farewell". (Trio: Sarastro, Pamina, Tamino – "Soll ich dich, Teurer, nicht mehr sehn?" Note: In order to preserve the continuity of Pamina's suicidal feelings, this trio is sometimes performed earlier in act 2, preceding or immediately following Sarastro's aria "O Isis und Osiris". [f]) They exit and Papageno enters. The priests grant his request for a glass of wine and he expresses his desire for a wife. (Aria: "Ein Mädchen oder Weibchen"). The elderly woman reappears and warns him that unless he immediately promises to marry her, he will be imprisoned forever. When Papageno promises to love her faithfully (muttering that he will only do this until something better comes along), she is transformed into the young and pretty Papagena. Papageno rushes to embrace her, but the priests drive him back, telling him that he is not yet worthy of her. Two men in armor lead in Tamino. They recite one of the formal creeds of Isis and Osiris, promising enlightenment to those who successfully overcome the fear of death ("Der, welcher wandert diese Strasse voll Beschwerden"). This recitation takes the musical form of a Baroque chorale prelude, to a tune inspired by Martin Luther's hymn "Ach Gott, vom Himmel sieh darein" (Oh God, look down from heaven). [g] Tamino declares that he is ready to be tested. Pamina calls to him from offstage. The men in armour assure him that the trial by silence is over and he is free to speak with her. Pamina enters and declares her intention to undergo the remaining trials with him. She hands him the magic flute to help them through the trials ("Tamino mein, o welch ein Glück!"). Protected by the music of the magic flute, they pass unscathed through chambers of fire and water. Offstage, the priests hail their triumph and invite the couple to enter the temple. Sarastro announces the sun's triumph over the night, and hails the dawn of a new era of wisdom and brotherhood. Queen of the Night's second aria, "Der Hölle Rache"
The first recording of The Magic Flute's overture was issued around 1901–1903, at the dawn of the recording era, by the Victor Recording Company and played by the Victor Grand Concert Band. The first recording of The Magic Flute was of a live performance at the 1937 Salzburg Festival, with Arturo Toscanini conducting the Vienna Philharmonic and Vienna State Opera. The first studio recording of the work, with Sir Thomas Beecham conducting the Berlin Philharmonic, was completed in 1938. Both of these historic recordings have been reissued on modern recording media. Since then there have been many recordings, in both audio and video formats. The opera has inspired a great number of sequels, adaptations, novels, films, and other works of art. For a listing, see Works inspired by The Magic Flute. ^ The genre of the work is hard to specify. The programme at the premiere performance announced it as Eine grosse oper (A grand opera). Mozart entered the work in his personal catalog as a "German opera", and the first printed libretto called it a Singspiel. ^ This is known from testimony by Ignaz von Seyfried (1776–1841), a composer who later (1798) became the musical director at the same theatre. According to Seyfried's memories (which he published in the Neue Zeitschrift für Musik, vol. 12, 5 June 1840, p. 184), "[Mozart] personally directed the premiere there on 30 September 1791, at which Süßmayr, the faithful Pylades, sat to his right, diligently turning the pages of the score." The description implies that Mozart was seated at a keyboard instrument, playing along with the orchestra, rather than standing on a podium with a baton; this was fairly standard practice for conductors in Mozart's time. Mozart conducted only the first two performances, whereupon direction was taken over by the regular leader of the orchestra, Johann Baptist Henneberg (Abert 2007:1246). ^ Foil, David; Berger, William (2007). The Magic Flute – Wolfgang Amadeus Mozart, Emanuel Schikaneder, Carl Ludwig Giesecke. Black Dog & Leventhal Pub. : Distributed by Workman Pub. Co. ISBN 9781579127596. ^ Buch, David J. (1997). "Mozart and the Theater auf der Wieden: New attributions and perspectives1". Cambridge Opera Journal. 9 (3): 195–232. doi:10.1017/S0954586700004808. ISSN 1474-0621. ^ Branscombe 1991, ch. 2. ^ Buch, David J. (2005). "Three Posthumous Reports Concerning Mozart in His Late Viennese Years". Eighteenth-Century Music. 2 (1): 125–29. doi:10.1017/S147857060500028X. ISSN 1478-5714. ^ "Documents – Mozart Documents". ^ a b Solomon 1995, p. 487. ^ Branscombe 1991, p. 162. ^ For extensive discussion of the spread of The Magic Flute and its performance traditions, see Branscombe 1991, ch. 7. ^ For discussion and examples, see Branscombe 1991, ch. 7. ^ "First full-score edition (Bonn, 1814)". Eda Kuhn Loeb Music Library, Harvard Library. ^ Freyhan, Michael (2009). The Authentic Magic Flute Libretto: Mozart's Autograph or the First Full Score Edition?. Scarecrow Press. ISBN 9780810869677. ^ See, for instance, Julian Rushton, "Die Zauberflöte" in The New Grove Dictionary of Opera, ed. Stanley Sadie, 4 vols. (London and New York, 1992), Volume 4, pp. 1215–18, and in "Mozart" in volume III of the same dictionary, pp. 489–503. ^ Macpherson, Jay (October 2007). "'The Magic Flute' and Freemasonry". University of Toronto Quarterly. 76 (4): 1080–1083. doi:10.3138/utq.76.4.1072. ^ Buch, David J. (January 1992). "Fairy-Tale Literature and 'Die Zauberflöte'". Acta Musicologica. 64 (1): 32–36. doi:10.2307/932991. JSTOR 932991. ^ "Die Zauberflöte, Masonic Opera, and Other Fairy Tales (PDF Download Available)". ^ Condee, Newcomb. "Brother Mozart and The Magic Flute". Archived from the original on 14 August 2003. Retrieved 18 December 2009. ^ Branscombe 1991, p. 148. ^ Branscombe 1991, pp. 145–151. ^ "The Magic Flute Overture", Kennedy Center for the Performing Arts. Retrieved 2 February 2016. ^ Cairns, David (1 January 2006). "Mozart and His Operas". University of California Press – via Google Books. ^ Heartz 2009, p. 284. ^ "Mozart, Kirnberger, and the idea of musical purity: Revisiting two sketches from 1782". Eighteenth-Century Music. Cambridge University Press. 13 (2): 235–252. September 2016. doi:10.1017/S1478570616000063. ^ "Wolfgang Amadeus Mozart (composer) – Discography of American Historical Recordings". adp.library.ucsb.edu. ^ "Mozart: Die Zauberflöte, K620 (The Magic Flute)". Presto Classical. Retrieved 19 December 2012. ^ Gruber, Paul, ed. (1993). The Metropolitan Guide to Recorded Opera. London: Thames and Hudson. ISBN 0-500-01599-6. Deutsch, Otto Erich (1966) . Mozart: a documentary biography. Translated by Eric Blom, Peter Branscombe and Jeremy Noble (2nd ed.). Stanford, California: Stanford University Press. ISBN 9780804702331. 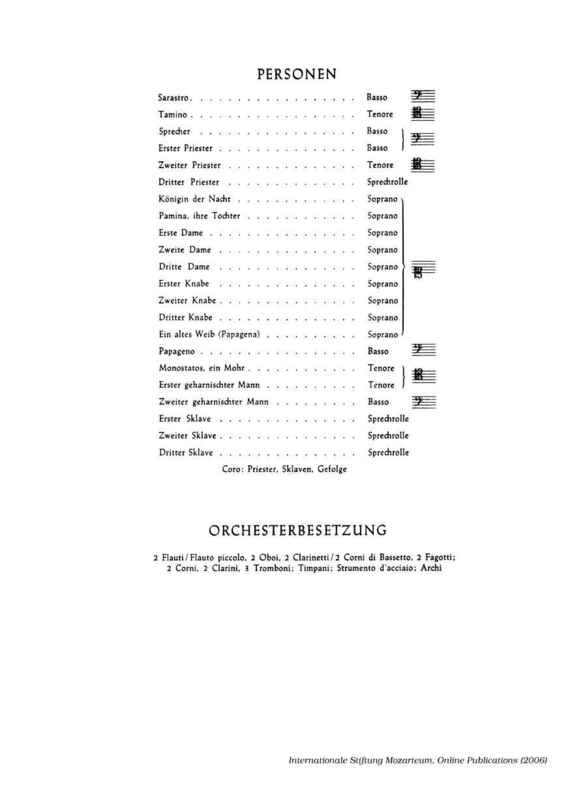 "Die Zauberflöte" (PDF). Metropolitan Opera. 25 October 2014. Archived from the original (Program notes) on 2015-11-25. Retrieved 2015-11-24. 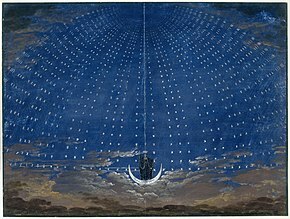 Wikimedia Commons has media related to Die Zauberflöte. This page was last edited on 21 March 2019, at 02:44 (UTC).